Thirty years on from the 1988 earthquake in Armenia, what’s happened to the devastated town of Spitak? Rescuers from all over the world came to help search for survivors – among them a team of British firefighters. 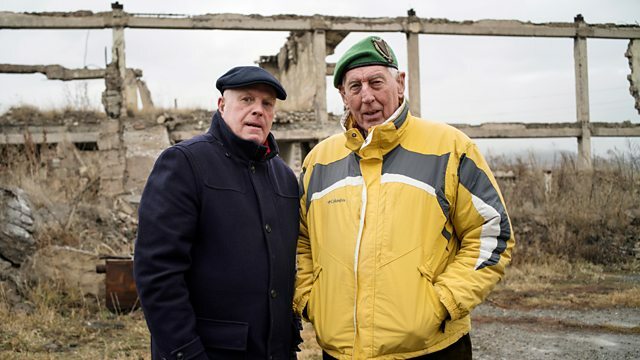 Now, with reporter Tim Whewell, two of those men are returning - to see how the town’s been rebuilt - and to remember a rescue effort that marked a turning point in East-West relations. The disaster came as Soviet leader Mikhail Gorbachev was developing his policy of glasnost (openness) – and his request for foreign assistance was the first such appeal the Kremlin had made in decades. The firefighters relive the drama, grief and courage of those days – and renew old friendships. They discover that Spitak has still not fully recovered from the quake, with many living to this day in squalid temporary housing.